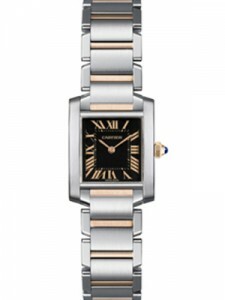 The Tank Watch Collection by Cartier was originally inspired by the allied forces in Europe during World War I. The Tank takes its name from the Renault tanks which were introduced by France on the Western Front. The Renault changed the way tanks have been made until today. The design was revolutionary and set the standard for how tanks would be made from then on. Their revolutionary status and their sharp angles informed the Cartier Tank watches which were first created by Louis Cartier in 1917. 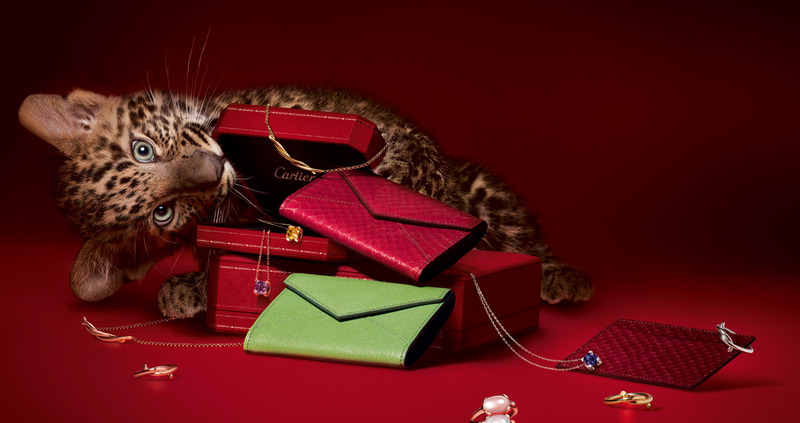 The Cartier Tank Collection has continued in production until today, although it has undergone some variation. The Tank Francaise differs only slightly from the Tank Americaine. The Tank Francaise boasts bracelet tracks similar to the caterpillar tracks left by army tanks. The alternating silver and 18k gold tones of this watch’s bracelet further that impression by creating a very distinct pattern. The watch has wide silver steel links with smaller, golden links between them. While the design is reminiscent of the caterpillar tracks, it is also highly complimentary and sophisticated. The alternating tones contrast and compliment one another. The crown is also 18k yellow gold. It is octagonal with a spinel cabochon and a blue sapphire crystal on the tip. The royal blue sapphire crystal matches the blue hour and minute hands, giving the watch a tasteful uniformity. This watch has no second hand or additional chronographs. The dial features large, black and bold roman numerals without hour markers. Although each numeral is in the correct position, some numerals are slanted. Their angles do not detract from the watches readability. The numerals are very large and contrast sharply with the white dial so the time is easily legible. The Cartier designer name appears above the hour hands and below the 12 o’clock mark. The Swiss Made logo is also apparent at the bottom of the dial in very small black lettering. The Swiss Made trademark assures customers that the majority of this watch was manufactured and assembled in Switzerland and was therefore held to their notoriously high watchmaking standards. The face is made of premium sapphire crystal. Sapphire crystal is the finest type of crystal used in watchmaking. When compared to the other leading types of crystal, sapphire crystal is three times stronger than mineral crystal and 20 times more durable than acrylic crystal so your watch’s face is unlikely to break. It is also extremely scratch resistant as it can only be scratch by a diamond. The Tank design is features classic, straight and simple lines which would compliment any ensemble or occasion. The Tank Francaise is a modern variation from the classic Tank design which successfully and tastefully combines influences from the present and past.